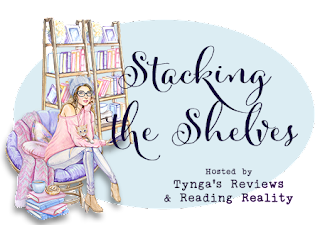 As of May 21st, 2017, Stacking the shelves is now co-hosted with Marlene of Reading Reality and now has a new graphic! Weekly Haul memes are a big trend in the blogging world, may it be fashion, make-up, movie blog etc and the most famously known version in the book blogging world is The Story Siren’s In My Mailbox, who was initially inspired by Alea of Pop Culture Junkie. In My Mailbox didn’t fit my needs anymore, so I decided to start my own meme, thus Stacking The Shelves was born! Tynga’s Reviews is all about Paranormal/Dystopian books, for both Adult and Young Adult, but feel free to include any genre you enjoy in your posts. No discrimination here! Make sure you visit Tynga’s Reviews tomorrow for this week’s Stacking The Shelves post! Wonderful post! I'm really looking forward to participating starting tomorrow. Anything to support a fellow Canadian book lover! I'm glad that you're starting this great meme--I was never one to do the IMM posts, and while I don't post my book hauls often (ha, I rarely get enough in a week to do so anyway), it's nice to finally have a post that will work for me. :) I've done my own little posts in the past (nothing official, none that I would have others participate in), but they were always hit and miss--there one month, gone the next. Lol. Looking forward to this! Thank you! I've been like a lost little puppy for this past week trying to find something to replace IMM and I've finally found it, this works perfectly and I love how eye catching the picture is for the meme. Thank you Tynga for starting this! So many folks were lost after......you provided a wonderful alternative! It's fun to show off our mail and I was amazed at how many visits I got on my blog last week from this! 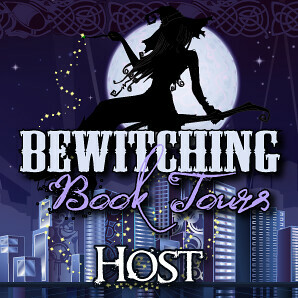 I even found a few blogs I knew nothing about with the same reading interests as me and not just YA. I mean OMG I love YA with a passion but I enjoy lots of other genre as well. Your meme seems to offer a wider variety! Thanks again! I'm so glad you got such a positive turn out! YAY I'm definitely in :) !! Glad I found a new mailbox meme to join. I'll update next week to include your meme picture. Oh new follower by the way! Congratulations on your beautiful baby! I'm a new book blogger (but I've been following several book blogs for a while now.) I was just about ready to start doing IMM when everything came to light. Super excited to see a great alternative! I should be making my fist Stacking the Shelves this weekend! Feel free to check out my new blog! Awesome, no restrictions on genre, I love that. I'll bee joining on Sunday, I won't be doing a vidlog, maybe an audiolog though. Audiolog! What a great idea! I'm a french blogger and my reviews are written in french on my blog but I read some books in english. Do you think I can participate to your new rendez-vous "Stacking the shelves"? 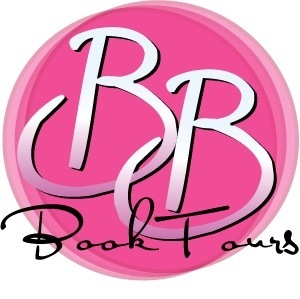 I was delighted to run across this blog link and my blog, Ruthi Reads!,will be participting in your Stacking the Shelves blog hop for sure! See you soon to hook up. Thanks! Hello, I am following you. I am thinking of starting this Meme but I will wait a bit and see how many I get though the mail and I buy. I've hopped on this bandwagon too! First post today! Sounds like a great idea! Liz showed me this and I'm more than happy to support a fellow Canadian Book Blogger. 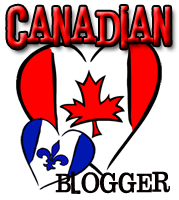 :) Converting my old posts over as I type this... Is that bad blogger etiquette? i havent converted my past ones either. Glad you chose to join us! Hi! I'm a new follower and will be participating in Stacking the Shelves. So much fun! Sounds great!!! I'll be joining. Always love another book. Climbing aboard a bit late, but count me in! Like you, I've seen a similiar meme, but it didn't quite fit for me. While I review just about anything as long as it's a good read, StS is just right. Found you through .Xpresso Reads, btw. Thanks for starting this up & looking forward to next week! Hi. is this something like book haul? I'm not Canadian, but I love this idea. I'm starting it today on my baby blog. It's just three days old. I would've liked to do this but my blog isn't a book blog... :/ it's still fun reading others do it! I wanted to start doing memes, and this one looks super easy and pretty fun. I think I'm definitely going to do this. Great idea! I'm definitely joining in on this! Sounds fun!! Great meme! Been looking for some to start on my blog and this is just the right one! Hopefully start tomorrow!!! Thanks for this meme and great idea! Random question but instead of weekly can I alter mine to be fortnightly because that is probably when I spend money on books? Thanks for coming up with a GREAT name for this! I'm a little late in coming to this, but I FOUND IT!!! YEAH!!! I've been trolling around looking for one of these to join in on, and I think this IS IT! Where will the LINK be to sign up each week I don't see it here on this page, or is it your TOP post every Saturday? Just curious so I know where to come! Hi, Irene here from Ice Queen's bookshelf, Ive been eying this meme for a while now and now Im going to do my first Stacking The Shelves ! Yeay I think its a great way to show what you've gotten! I always enjoy them at other ppls blogs! I would very much like to participate. Students Assignment Help serves the best quality do my assignment to the students at a low price. Our expert writers provide academic writing help as they are well-versed with all assignment topics. Looking for the best essay help company in Australia? Let your dream comes true with EssayAssignmentHelp.com.au. Students in Australia don't have to pay a high cost for collecting their work accomplished. Academic helpers at StudentsAssignmentHelp.com is continue giving Cheap Essay Writing Australia services for all the university students. We have a team of masters and Ph.D. specialists working with us day and night. SingaporeAssignmentHelp.com writers are offering my assignment help singapore services from more than 15 years and we are best if you are looking for assignment help at lowest price. We provide you the best assignment, which are plagiarism free, error-free and at a lower cost. I have joined your rss feed and look forward to seeking more of your excellent post. Also, I have shared your website in my social networks! Students Assignment Help is the best do my assignment service provider agency. Our experts help students to accomplish their assignment writing task at the cheapest cost. Our services are provided by the experts’ writers around the world. Students Assignment Help caters the best write my essay NZ services by assignment writers. You can get assignment writing services from our excellent writers and assignment done on time at a low price. hello! If you activate Mcafee antivirus by Mcafee.com/activate link but you are facing any issue in your activation then you can call our Mcafee customer service phone number and get the solution for your issue. Assignment Help:- I don’t usually comment on blogs.But this blog is so convincing that I could not stop myself. Students who struggle with their homework can take inspiration from here. For cheap and best Assignment Help, this is an ultimate platform to look forward. A commitment of thankfulness is all together to post.Greetings a commitment of gratefulness is all together to share this post here. Thanks for sharing such a great Blog. Helpmyassignment is famous to provide Assignment Help in Australia. We offer high-quality Assignment Writing Services in Australia at cheap rates. For more information, you may call us at 61-2-8006-5054. Students Assignment Help gives the English dissertation ideas benefits remarkably to the school or college understudies. Our task essayists are very much qualified and have picked up their degree from the best colleges around the globe. ABC Assignment Help is a team is excellent writers holding a qualification and experience in different subjects to provide quality java assignment help to students across the world. We focus on providing round-the-year support to help students grasp the subject and achieve accolades. Our services are not only limited to providing assignment help but to assist students from different colleges/universities to understand the guidelines and limitedness of various subjects. In the present era, Social media made it much easier for the students to connect and mesh with peers and teachers. Students can reach out new learning resources like online professional tutors that can assist them in projects and assignment writing services. Thanks for sharing with Us. Thanks for sharing with Us. How to uninstall windows 10? From Windows 1.0 to Windows 10, there has been a plethora of modification made within the operating system. Yet, not everyone fits perfectly with the changes and decides to get back with the older ones. The same happens with the users of Windows 10, and in such cases, users choose to uninstall Windows 10 and install older versions of OS From Windows 1.0 to Windows 10, there has been a plethora of modification made within the operating system. Yet, not everyone fits perfectly with the changes and decides to get back with the older ones. The same happens with the users of Windows 10, and in such cases, users choose to uninstall Windows 10 and install older versions of OS. I love this idea and would love to be part of it! I would like to join in but I am new to Wordpress and I honestly don’t know how to link back to your blog , or even copy your “logo” for that matter. ����‍♀️ Could you please tell me how to do it? I am a writer, blogger and an education freak who keeps on exploring the masters industry. I am working with Go Dissertation Help from past few years and have been indulged into delivering quality new product development assignment help for students. Looking for windows 10 uninstall go HHow to uninstall Windows 10? ABC Assignment Help is a team is excellent writers holding a qualification and experience in different subjects to provide quality statistics assignment help to students across the world. We focus on providing round-the-year support to help students grasp the subject and achieve accolades. Our services are not only limited to providing assignment help but to assist students from different colleges/universities to understand the guidelines and limitedness of various subjects. I read your blog post.. and this is really great blog post.. i have bookmarked this website. thanks. Proper guidance is needed by the students for writing creative and exciting essays. hence, the students must seek Creative Essay Writing services in order to get their tasks completed on time.